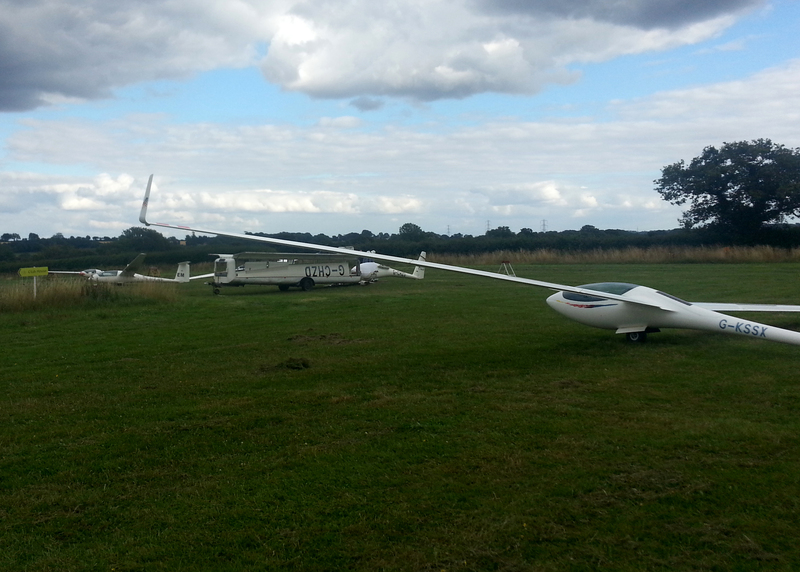 The conditions were not always soarable but we managed a creditable 40 take offs and 45 landings! Top honours were shared by Pete and Bob who each had 1:10 in the Vega…….separate flights obviously. 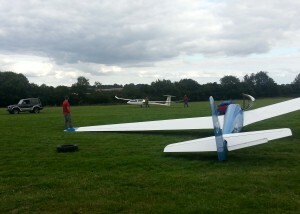 There were many extended soaring flights and some good climbs were available for the lucky few. Sean converted to the K8 and Chris Keating was signed off to fly with friends and family. 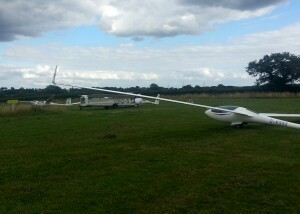 Yours truly contacted a 5 knot thermal which took me all the way to a 4000ft cloudbase which was quite fortuitous as it gave me plenty of excuses to scrub the height off by spinning, looping and generally having fun test flying the Puchacz 🙂 Thanks to all who helped to return the Puchacz to flying status. 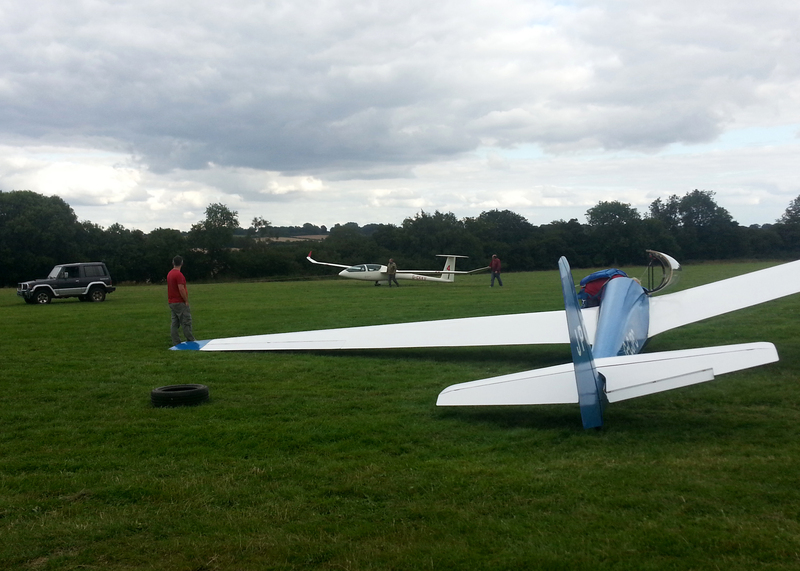 All in all another cracking day at Shalbourne!